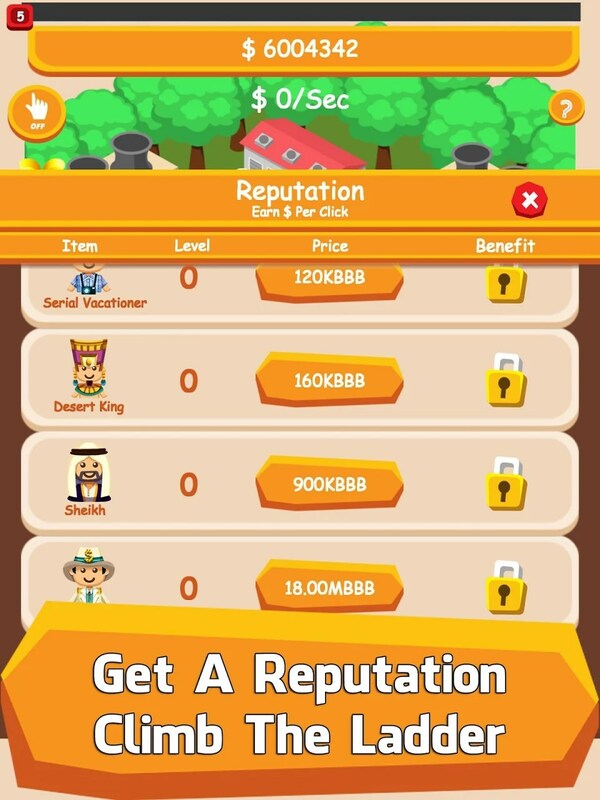 Oil Tycoon - Idle Clicker Game – Games for Android 2018 – Free download. 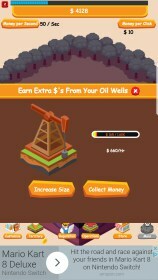 Oil Tycoon - Idle Clicker Game – Will you be the next oil tycoon? 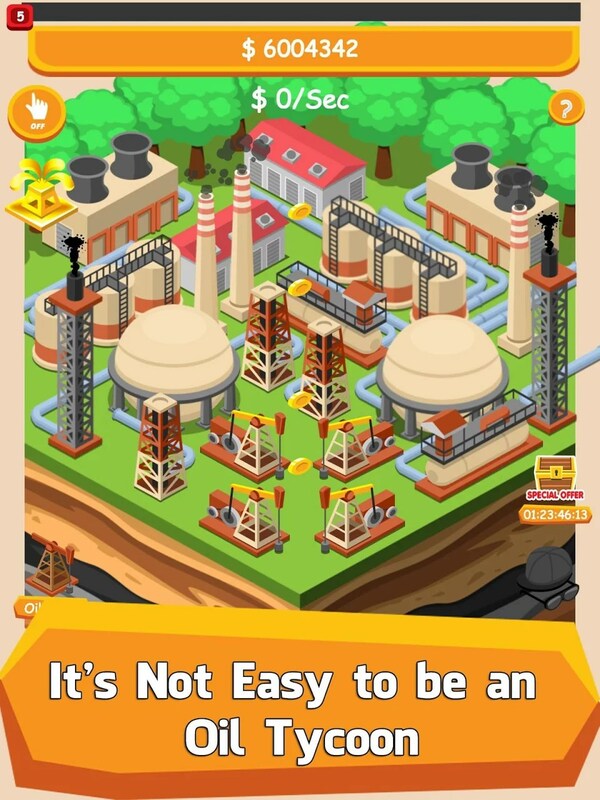 Idle/clicker games aren’t really known for their high production value. That’s not to say the games look or feel cheap; there just isn’t really that much to them. 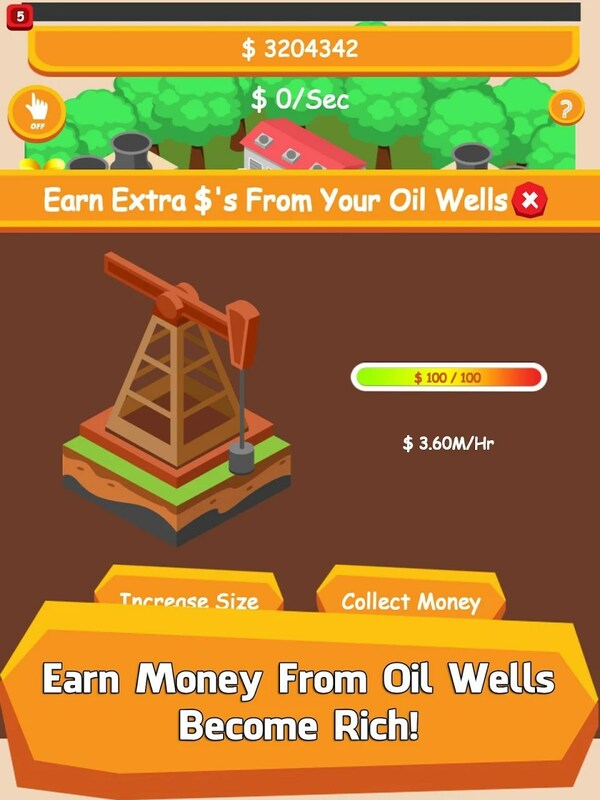 Those are thoughts that I used to have until I came across Oil Tycoon for Android. As soon as I brought the game up, I was immediately greeted with a fairly large and permanent banner ad that is pretty easy to click on because, well, this is a clicker after all. 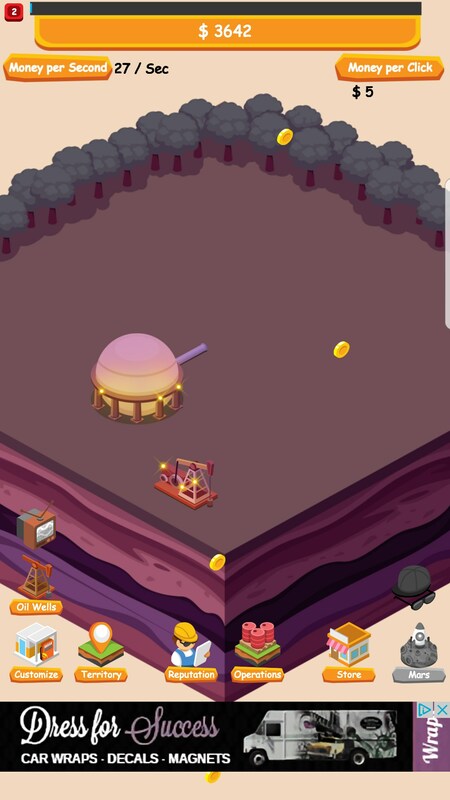 Starting a new game, I quickly realized that this would be a long and arduous game. Yes, sure, all clickers are mundane and grindy - that’s the entire point of the genre, right? 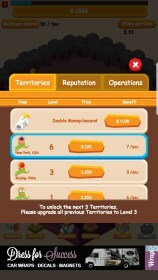 But what OT does is simply obnoxious - it balances the entire game around pop-up video ads and in-app purchases. 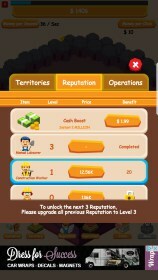 First off, you need to click 400 times to get your first true upgrade, which changes the value of your click from one to two. 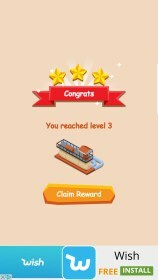 Then you have to grind another 800 points to get it from two to five. 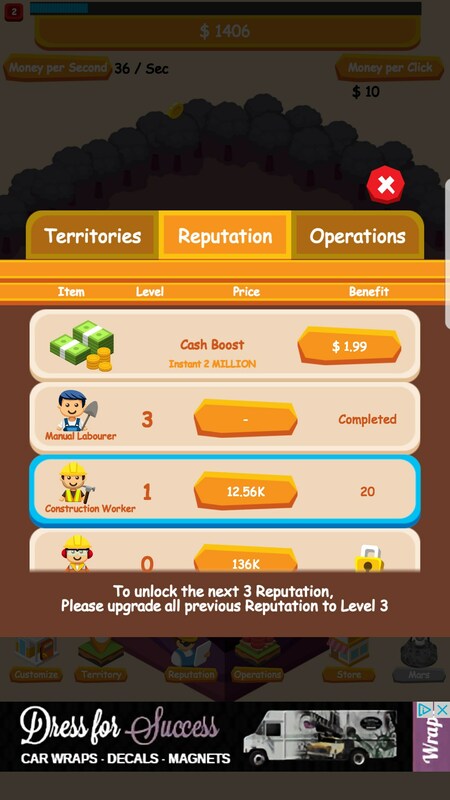 Once you hit that level three mark, you have to grind up to a whopping 6.2k because you have to unlock a new tier. This wouldn’t be all that bad if earning money passively wasn’t equally as unbalanced. 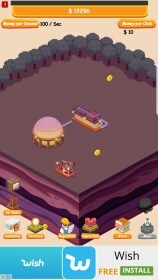 First off, you can’t earn the same amount of money when your screen is off as you can when your screen is on and the app is up. 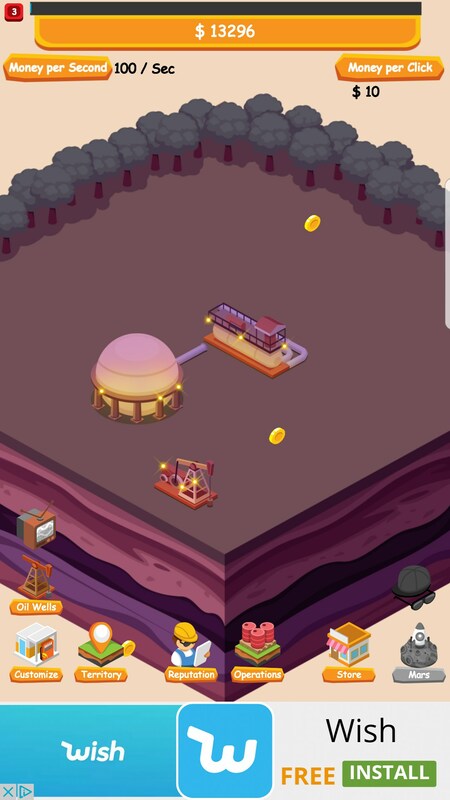 Instead, your oil wells do the mining and unless you spend a massive amount of money upgrading them, the amount of gold you’ll earn is negligible - not even worth wasting your time with. Eventually, passive income is really the only way to go, but it takes a long time to get there and you have to leave the app running on your device to get there. 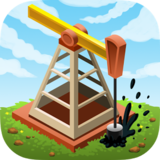 Oil Tycoon isn’t just cheap in its mechanics, it has a cheap aesthetic with poor sound effects, too. 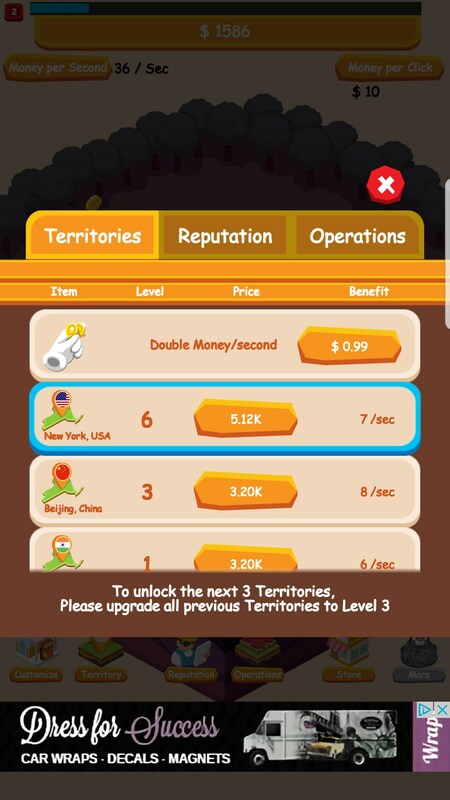 The Play Store is saturated with clickers and good ones are a dime a dozen. Don’t waste your time with mediocrity.